On March 2, 1965, “The Sound of Music” was released in the United States and the love affair between moviegoers and the classic Rodgers and Hammerstein musical was on. Rarely has a film captured the love and imagination of the moviegoing public in the way that “The Sound of Music” did as it blended history, music, Austrian location filming, heartfelt emotion and the yodeling of Julie Andrews into a monster hit. Now, Tom Santopietro has written the ultimate “Sound of Music” fan book with all the inside dope from behind the scenes stories of the filming in Austria and Hollywood to new interviews with Johannes von Trapp and others. Santopietro looks back at the real-life story of Maria von Trapp, goes on to chronicle the sensational success of the Broadway musical, and recounts the story of the near cancellation of the film when the “Cleopatra” debacle bankrupted 20th Century Fox. We all know that Julie Andrews and Christopher Plummer played Maria and Captain Von Trapp, but who else had been considered? Tom Santopietro knows and will tell all while providing a historian’s critical analysis of the careers of director Robert Wise and screenwriter Ernest Lehman, a look at the critical controversy which greeted the movie, the film’s relationship to the turbulent 1960s and the superstardom which engulfed Julie Andrews. 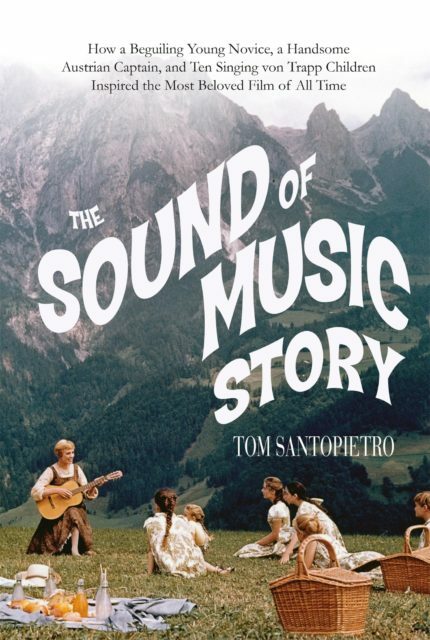 Tom Santopietro’s “The Story of ‘The Sound of Music'” is a book for everyone who cherishes this American classic. Mr. Santopietro’s book does a solid job of relating the story behind one of the most popular movies ever made. Tom Santopietro’s excellent behind-the-scenes account of a phenomenon that…seems destined to delight audiences ‘for a thousand years’…a good way to celebrate the musical we all (come on, admit it!) know by heart. A fun-to read book, perfect for musical-lovers, aspiring moviemakers, and film buffs.